What are the 10 Spring checks I should complete in my greenhouse to assure a season of happy and enjoyable growing? All glass panes are in place, not cracked or broken or have slipped from their positions. All glass panes have been cleaned for best transmission of light. 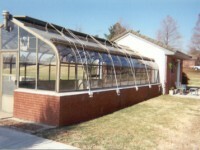 The greenhouse framing system has been inspected for corrosion or faults. 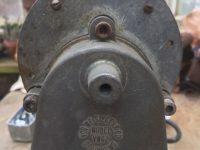 All ventilation motors have been inspected, serviced if necessary and are working. All thermostat controls have been inspected. All humidifiers and plant watering systems are in good working order. All cooling and shading systems are in good working order. All weeds and unwanted plant growth have been removed from greenhouse floors. All sources of algae have been removed. All repairs have been attended to. Are there benefits of using glass panes over plastic sheeting or tiles in my Greenhouse? The best glass to use is tempered glass for your greenhouse covering. Plastic will get milky and crack from ultra-violet light emitted from the Sun and have to be replaced often. As glass is not effected by this, it offers you a return on your investment over your greenhouse’s lifespan. What are the leading causes of greenhouse frame failure? Improper and/or incomplete cleaning of the surfaces can lead to a multitude of problems for the greenhouse frame and for the plants growing within. Effort should be taken to prevent rust of any steel parts and oxidation and decay of the aluminum. 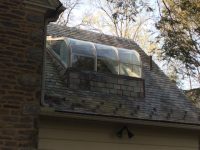 The removal of algae and moss at key intersections of the glass and frame should be attempted to prevent unwanted moisture buildup, and molds and mildews within your growing environment. If the foundation of my greenhouse is sagging or has dropped, can my greenhouse be saved? Yes. Glass Garden Builders can rebuild most foundations without taking the greenhouse down. Is there a difference between a Victorian greenhouse and lean-to design? All well designed greenhouses can offer you an enjoyable plant growing experience. A lean-to greenhouse is typically used against the side of your home and is obviously limited to the size of the specific wall. They usually have only three walls and usually are smaller in size. 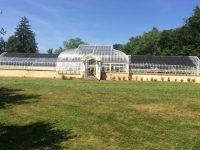 A Victorian greenhouse is in most cases a 4 sided greenhouse that is free standing or can be attached and accessed through a glass walkway. They can also be built atop low foundation walls constructed of a large variety of materials. Call and speak with a Glass Garden Builder representative about which is best for your needs. Does the greenhouse have to be attached to my house or can it stand alone? A greenhouse can be built to fit in with your home and lifestyle and can grow your desired plants year round if it has been properly setup for you. It can fit onto your home or garage or it can be a beautiful focal point by itself in your backyard on on your property.